A timeless classic, a monochrome kitchen provides the perfect backdrop to accent colours or soft accessories. 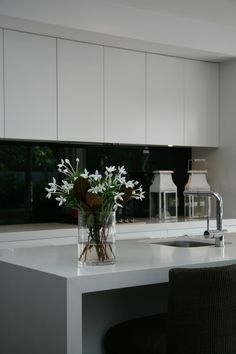 Sleek and elegant, crisp white will bring a sharpness to your kitchen, with the black glass yielding a deep reflection. Add soft touches for a perennial kitchen that feels like home.